IKO Slate is an eco-friendly, manmade synthetic composite slate made from 99% recycled materials. Its unique design gives it superior strength, making it very easy to handle and install. IKO Slate is a beautiful looking synthetic slate which has all the aesthetic qualities of traditional slate because the moulds used to design this wonderful product are taken from real quarried tiles. The different moulds used gives slightly different textures, patterns and riven edges to give a truly authentic look. 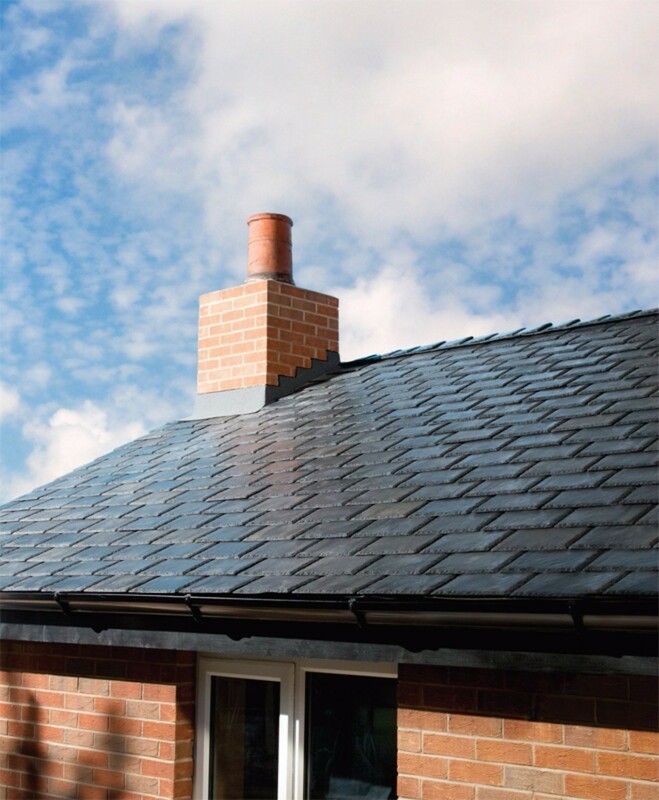 IKO slate is very easy to install which allows an experienced roofer all the way through to a DIY enthusiast without much roofing experience the ability to achieve and deliver a wonderful looking, sustainable roof. Natural Slate can easily chip and break during transport and when installing which means you typically need to allow for more material to ensure you have enough to complete your project. This additional time and cost can be avoided entirely when using the IKO Slate synthetic tile - IKO slate does not break, chip or damage. We make ordering IKO Slate easy, each pack contains enough tiles to cover approximately 1.5m2 with no wastage at all. IKO Slate is also 80% lighter than traditional slates of the same size. This means transportation is easier and also means that you can now achieve a traditional slat appearance on roofs that connate take the weight of normal slates, such as conservatories and garden buildings. If you're looking for a slate look without the weight, wastage and expense, then the IKO synthetic slate should be a serious contender. 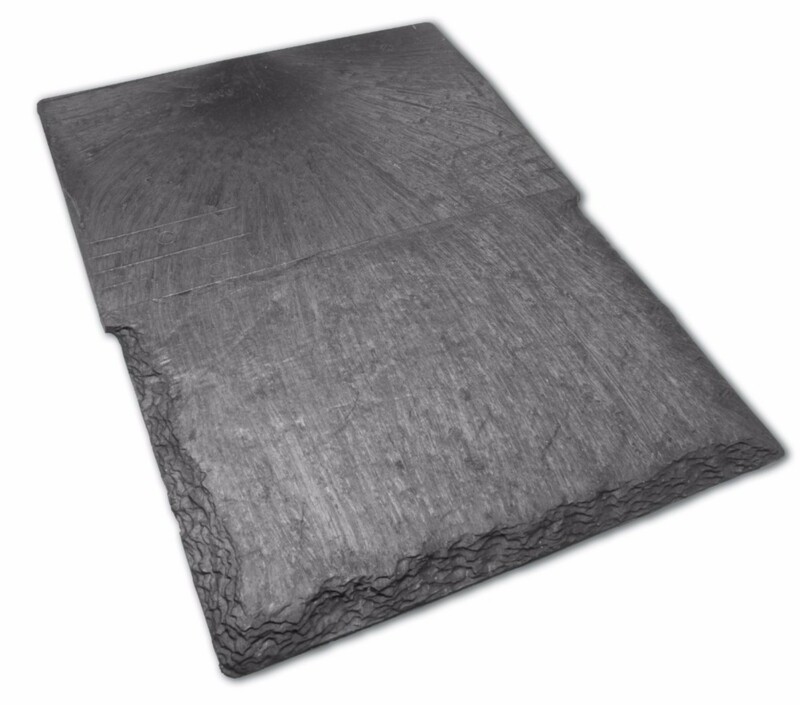 Did you know that 1m2 of IKO Slate contains has more recycled material in its content than what an average family discards in one month. Where can IKO Slate - Recycled Synthetic Roof Slate be used? Matches the rest of the roofs in my neighborhood and looks great. 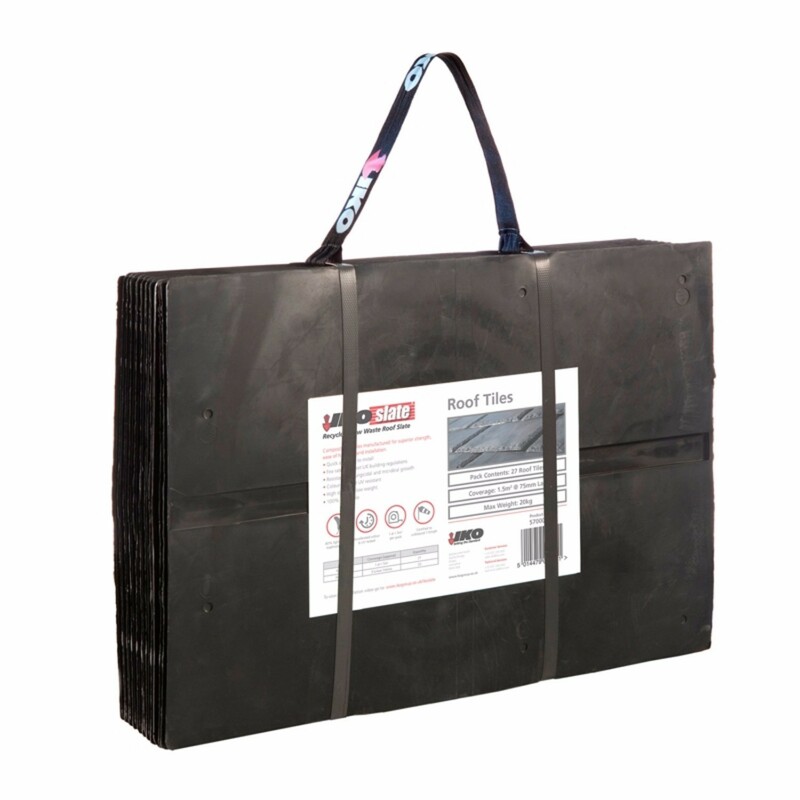 There are cheaper options but I think the IKO Slate is an excellent product and would more than recommend these to anybody looking for a natural slate appearance. The IKO Slate is exactly what i asked for, a great product at an affordable price. Couldn't be happier, my roofer managed to fit my roof on in no time at all with the IKO Slate and my roof has never looked better!